Preamble: In December, the Carceral Archipelago team – including Clare Anderson, Kellie Moss, Katie Roscoe, Carrie Crockett, Lorainne Paterson, Anna McKay, and Adam Barker – attended the Carceral Geographies Conference at the University of Birmingham. For those interested in further content from the conference, please see this Storify, and full talks and presentation slides are also available from the conference organisers. As a social and political theorist, I like the idea of ‘experiments’ – trying something to see what happens, even if it is not what one might expect to happen. Or, perhaps, trying something because one has no expectations, but a sneaking suspicion that SOMETHING will happen. Many big ideas and discoveries started with somebody saying “I really don’t know where this is going, but let’s find out!” There is excitement, energy, and no small amount of risk in experimenting, even if we are working with thoughts and concepts rather than beakers, burners and chemicals. Unfortunately, for many in academia today, the press of publication deadlines, the certainty of deliverables desired by funding bodies, or just our own routine of doing similar work in similar ways means that experimentation of this kind is not a process we can (or believe we are able to) pursue. That is why I was so excited to begin working with the Carceral Archipelago project: it was the opportunity to take my work and combine it with a field of study that was entirely new to me. I expected that there would be reactions, though I had no idea what those reactions might be. The field in question could broadly be called ‘carceral studies’. As someone new to studies of carcerality – I had to look up the word the first time, and now know that it means ‘qualities which suggest or relate to incarceration’ – I have had a difficult time getting my head around the nuances and complexities of it all. Moreover, while I have been fascinated by the studies and arguments I have encountered in the field of carceral studies, I was not sure what the implications were for my own work. I study settler colonialism, specifically in Canada and the USA, and have for many years focused on political structures and cultural narratives. To the degree that incarceration has impact on my work, it has been through references to the over-incarceration of Indigenous peoples in North America as evidence of ongoing systemic racism. But surely, I thought, there must be more to what can be revealed by considering settler colonial states through the lens of carceral studies. Four months after beginning this project, I am already staggered by the realisation of exactly how much the concept of carcerality brings to my work. It began with a single paper: an article by two Canadian scholars, one a historian of genocide, and the other a critical criminologist, in the journal Punishment and Society. 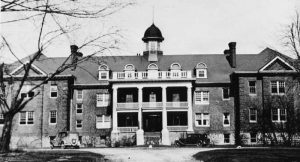 These two scholars – Andrew Woolford and James Gacek – wrote about residential schools (the system of ‘education’ that was used to forcibly remove Indigenous children from their communities for the purposes of assimilation) as a form of incarceration. Suddenly, beyond the obvious space of ‘the prison’, carcerality made an entry into my knowledge of the history of settler colonisation in Canada. The argument that this paper made was so simple and obvious, that I could not believe it had not been discussed this way all along: residential schools relied on the same kinds of criminalisation of Indigenous peoples as prisons, the same systems of surveillance and punishment (meted out by teachers and priests instead of guards and wardens), and were directed towards the same ends of asserting control and dominance over ‘problematic’ communities of people. It is fairly uncontroversial in carceral studies to note that incarceration in prisons in North America is heavily racialised and supports unequal systems of white supremacy by fracturing the communities of people of colour. I was already familiar with – and in agreement with – these arguments. However, as I saw the parallels drawn between prisons and residential schools, I suddenly saw carcerality everywhere. Of course, as is often the case, awareness precedes understanding. It was one thing to see that carcerality and carceral studies could be applied effectively to studies of colonialism beyond prison critique – it was quite another to understand the significance of that observation. I have tried combining theories, considering more spaces and structures through the lens of carcerality, and see more connections, parallels, and inferences which suggest that ‘something’ is going on, but what? Some answers began to come into focus in December, when several of the Carceral Archipelago team attended the first annual Carceral Geographies Conference at the University of Birmingham. There, we had the privilege of hearing some truly remarkable and wildly diverse studies that showed the potential of ‘thinking carceral’. We were asked to consider that some people who are incarcerated are not held immobile in small cells, but actually sent back to ‘normal’ life, to the workforce, to social spaces – perhaps monitored by an ankle bracelet, or otherwise surveilled, but still ‘mobile’. We were exposed to theories of carceral ‘circuitry’ that tied prisons and other carceral spaces to flows of power, capital, resources, and bodies. Presenters drew out the deep and disturbing connections between prisons and detention centres for undocumented migrants and refugees, connecting foreign and domestic policy through ruthless techniques of segregation and dehumanisation. And in turn, we contributed our own ideas – myself on my emerging consideration of reserves as carceral spaces (which I have written about previously on this blog) – and received wonderful and wild feedback and questions from the other attendees. Since then, I have been conceptually ‘experimenting’: trying to fit all these observations together, seeing how they interact, listening to what they tell me. Experiments involve observations, and I have a few. First, the experiment is far from over – I am only beginning to scratch the surface of what appear to be deep and profound resonances between my previous engagements with Indigenous resistance and resurgence and settler colonial theory, and the wide world of carceral studies. However, more than revealing how much I do not yet know (a constant of academic life! ), I am already seeing answers arise to pressing questions. For example, there has been a long and trenchant debate among historians regarding Patrick Wolfe’s contention that settler colonisers strive for the ‘elimination’ of the Indigenous peoples – as many historians have pointed out, it seems an over-reach to say that Indigenous people are targeted only for erasure in settler colonies when many Indigenous communities played key roles in providing labour that could fill gaps in nascent industry in fisolated areas. One can point to fish canneries on the Pacific Coast, construction work in early 20th century New York City, and many other examples of this sort of situation. But what if, rather than thinking of communities being ‘sustained’ rather than eliminated – that is, integral even if colonised by capital – we instead think of Indigenous bodies being incarcerated in a series of interlocking spaces? 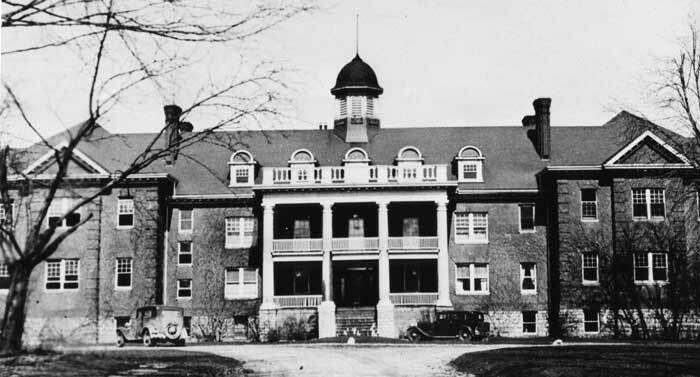 What if the prison, the reserve, the residential school, the sanitarium for TB patients, the cannery for Indigenous workers, and other spaces like this are all constructed for the same purpose: to eliminate indigeneity (if not Indigenous bodies) by restricting Indigenous relationships to land and to other Indigenous nations? What if ‘incarceration’ in this context isn’t designed to separate Indigenous peoples from settler society, but from themselves? It seems to me, the more that I think through carcerality, indigeneity and settler colonialism, that a far more nuanced picture emerges of how settler societies try to weaken and eliminate Indigenous communities – and likewise, we also gain new insights into how whiteness works to incarcerate many kinds of social difference. And if we understand these processes more fully, across time and space, we may develop clearer idea of what to do about them in the present. Not every experiment results in such a conclusion, but I am committed to continuing the process until I reach one.